Gets me stoked all over again for the movie it turned out not to be! Gwangi wrote: It is funny that in those days, before all of the social media benefits that we now enjoy, one actually had to GO to the theater to watch the trailer, or perhaps see it on "Entertainment Tonight". Well, you could also download overnight on dial-up blocky Realplayer videos of trailers, or wait for Barry's Temple or Aaron to upload screencaps of the this trailer! And then you could load up alt.movies.monster and read GodErik's supposed script leak details, which, to everyone's horror, turned out to be pretty accurate. Joseph Goodman wrote: Gets me stoked all over again for the movie it turned out not to be! Ugggh The memories. I remember when Barry's Temple of Godzilla leaked the design through the Fruit of the Loom underwear advertisement. 13 year old me though it was BS. 13 year old me was wrong. Hey, I also got dial-up right around then! Right around the month or two or so before this movie came out...I didn't even have time to find out about sites like Barry's and such and things like that, I was too busy learning how to use the damn internet itself and actually coming to the realization that there were movies made after Biollante (I got the Compendium somewhere around the same time as well). ^LOL, I stumbled upon Barry's temple while browsing in the college lab. He had a clip of Godzilla's melt down at the end of Destoroyah, which he had to take down in time because of space limitations, but I asked him to send it to me for use in the project I mentioned above, and he did. . If only I could go back in time and tell my younger, more naive self, not to be so anticipative. I really don't hate G 98 as much as others, but the results were so disappointing. In the end, I felt just like Charles Foster Kane, forcing an applause after his wife just gave a terrible performance at the opera. The marketing campaign for this movie was...seriously just the best. Whatever I feel about the movie, the marketing was absolutely TOP NOTCH. There's been nothing like it since (for somewhat good reason), but just...man. I don't think any movie will EVER get the level of hype from me that this movie got simply for that reason: just a PHENOMENAL marketing campaign that really built excitement and was IMPOSSIBLE to avoid. Everyone on EARTH knew this movie was coming out, the teasers were extremely effective at TEASING, the "His foot is as big as this bus" and "His eye is as big as this tunnel" stuff was EVERYWHERE and REALLY fun...damn. I'd like to just go back and live in a world where this movie is advertised ad infinitum and never released. Well, it's May 20th, 2018. For better or worse, today is the twentieth anniversary of Godzilla (1998). Regardless of how I feel about the movie itself it's still a significant piece of personal movie history. It was the first movie whose production I followed closely from beginning to end through the internet, me having first gained access to the world wide web in the spring of 1997. To date, it is the only movie that I first saw when it was released on its nationwide opening day. Lots of valuable lessons came out of this. For one thing, anticipation. Since this was announced in 1993, I had visions of greatness and wonder coming out of my head. 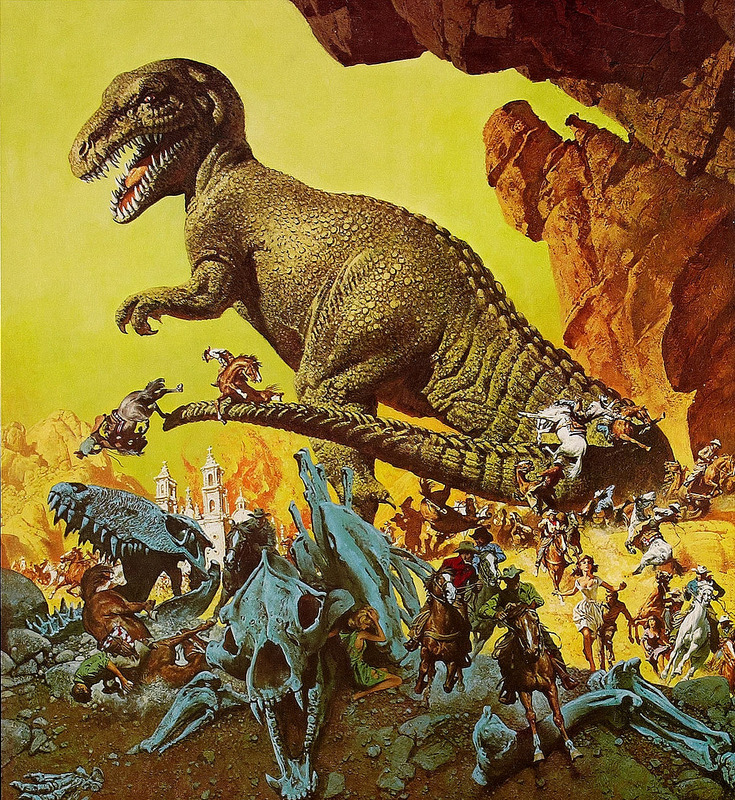 What Hollywood did with "Jurassic Park", I thought could have been equaled or even bettered for "Godzilla". You had "Entertainment Tonight" visiting the set and filling reports, which only heightened my anticipation. And while "Independence Day" had its share of flaws, in the end, I still found it to be quite an entertaining summer popcorn flick, and could not wait what Devlin and Emmerech could do for our guy. Now, I will admit, that not all lessons were learned after that day, as I was still highly anticipated for films like "The Phantom Menace" and Peter Jackson's "King Kong". Of course today, the name of the game is "cautiously optimistic", which is true for any project these days, be it a Monsterverse film, Star Wars, Marvel, etc. Yes, I still like to have visions of how "Godzilla 2" and "Kong vs. Godzilla" might look like, but I am much more tempered in my attitude. If anything good came out of GINO, perhaps it was that. You know, I'll always look on that era in fondness. 1997 was the year of Star Wars and 1998 was the year of Godzilla ! I saw several new-to-me films as the lion's share of the Heisei series began getting official releases; I bought Dark Horse's three Godzilla comic collections, The Official Godzilla Compendium, and Marc Cerasini's Godzilla novels and read and reread them and carried them wherever I went; Godzilla retrospectives in major magazines that I looked through in bookstore and my mom wouldn't buy for me; Godzilla movies on TV; I won a little money in an elementary school drawing contest and bought Anchor Bay's Godzilla VHS box set; and even if the movie itself was bad the ensuing animated series was much better and occupied more of my viewing time anyway. I got the Blu-Ray for Christmas, but I decided to watch the movie today to recognize the anniversary. I'm gonna try to give it some unequivocal praise, without mentioning its impact on the franchise as a whole. The first 5-10 minutes are fine. They don't stray far from audience expectations for a Godzilla film. Some of the practical effects hold up well. I like the Baby Godzilla suits in particular; at least they're fun to watch. David Arnold's score is pretty good, especially the main title theme. The Godzilla design is okay. 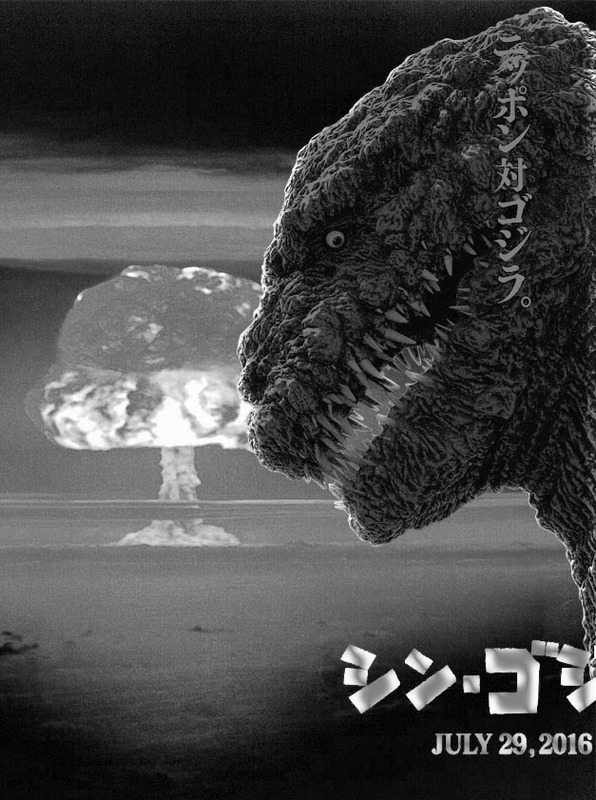 The notion of a kaiju behaving in distinctly un-kaiju-like ways -- hunching low to the ground, avoiding needless destruction, dodging missiles, outsmarting and outrunning the military instead of fighting head-on -- is interesting, if only as a matter of contrast. If another, traditional Godzilla were in this film, I could have fun watching that contrast. I appreciate the presence of Jean Reno, Kevin Dunn and Hank Azaria. I think that's all I've got. The movie's still a 3.5/10 and refuses to improve with age. The merchandising, marketing, and general Godzillamania inspire far more nostalgia than the film itself. That said, I actually enjoyed the film when I first saw it. As I absorbed more criticism of the film, my view of it deteriorated and has never recovered, no matter how open I've kept my mind since. There's a LOT wrong with it, not JUST in Emmerich's attitude about Godzilla in general (which goes beyond the "It's just campy and stupid" comments he's made [especially since Ishiro Honda said that about half the Showa films and Jun Fukuda hated every entry after the original, including the ones he made] to full-on contempt and literally going out of his way to break all of the ground rules Toho gave him without 'technically' breaking them). 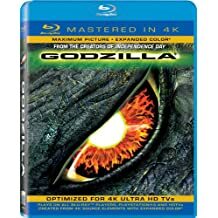 The movie itself is a slog and they made a LOT of poor choices along the way, especially in their depiction of Godzilla, which again, beyond just being NOT Godzilla is also NOT a compelling monster because it's not a monster, it's just an animal so you can't really feel any one way or another about its rampages. ...because the marketing campaign was glorious, and we've NEVER had ANYTHING like that since, and not just in terms of the kaiju realm, but in all of cinema. That was a splendiforous ad campaign. And it ultimately did a lot of good for the franchise. No 98, no Heisei stateside releases. No 98, no millennium series. Plus, no 98 and the Monsterverse wouldn't exist...we might have had a more successful, yet still very much GINO in its own way depiction that would have totally re-shaped the character for the worse. The Jan De Bont script is a damn Gamera movie, NOT a Godzilla movie, and if that had become the norm for Godzilla, then we'd not likely be looking forward to Godzilla vs. Kong in 2020. So yeah, it ruined my entire life, but it's still not the worst thing in this franchse (stares angrily at the anime, especially as reviews of the second part have trickled in). I don't even know if I saw it again theatrically after that. I do know that I thought I would try to be some "crack" reporter, and left a voicemail on JD Lees telephone for G-fan (I had his number, but I have no idea how I got it lol, it might have been in something he sent for being a subscriber at the time..) . I told him "It was great" LOL...what an idiot I was. Sadly, 20 years later, the biggest take away from this is that when people ask "what was the first Godzilla film you saw theatrically" I resentfully have to answer this one, because people automatically assume I am younger than I really am. My parents didn't take me to Godzilla 1985 because its theatrical run was fairly short, and they just sort of "lost track" of time. I am told that some of the Cinema Shares films and Terror of Mechagodzilla did make the rounds in the late 70's, but I would have been only 2 or 3, and I don't think my parents would have taken me that young. Hey, I believe there is now one professor who uses Godzilla films to teach the Japanese constitution, so O.Supreme, believe it or not, you were the trailblazer! I should add to my comment about the one positive that Godzilla 98 gave me besides a cautious attitude towards new film projects. As others have discussed, we go loads of merchandise! For the first time, I saw Godzilla box-sets courtesy of Anchor Bay. For the first time, I saw a Showa Godzilla movie in widescreen and did not realize what I had been missing all of these years! And for the first time, Godzilla films were introduced to DVD (unfortunately, I did not have a DVD player in 98. VHS was still king for me!). The CD "The Best of Godzilla 1954 to 1975" was a must for my ears. Honestly, I had not seen so much Godzilla merchandise available since growing up as a kid in the 1970s (K-Mart was the store to go, if one wanted Godzilla Auora kits or 8 mm films, or coloring books, etc). All of that was the funniest part of this Godzilla push in the Spring of 1998. Perhaps, I should go back and revisit GINO and see if my attitudes have changed. I have mellowed out on other films, so I think I will give this a shot (and for the record, I did not hate GINO, as much as I was sorely disappointed in the structure). On my word to myself, I stated that I would revisit this feature. And realizing I only had a DVD, I went out and found this copy. Not sure if it was the much sharper look, but yes, I have somewhat mellowed on this one (of course, I now have the advantage of 20 years time, to know things better). I liked how it started, and up to GINO’s first arrival in NYC, before things got bogged down. I had forgotten how much rain there was in this movie. It bugged me then and it still bugged me present day. Overall, it was a straight-forward popcorn film, but I still cannot see this as a Godzilla movie, but more so a relic of its time – a 1990s sci-fi, action adventure flick. And I totally forgot about that Ebert & Siskel in-joke. It would have worked better if it was just limited to that Wall Street scene, but in the end, it was like an SNL skit gone too long. The most interesting part in watching this was that thanks to the advancement of technology, there are things shown in this movie that don’t exist anymore, or are virtually extinct. Great usage and an abundance of pay phones! (even those who had cells, had those long antennas). Huge and heavy computer monitors. And lastly, Blockbuster advertisements (at Madison Square Garden). That was all fascinating! Siskel and Ebert were mostly disappointed about their inclusion because Devlin and Emmerich went out of their way to have a joke about them in the movie, due to S&E lambasting D&E's previous films...and then didn't have them get crushed by Godzilla. S&E were like, "If you're gonna put us in your dumb monster movie because we were mean to you, at least have us get stepped on to teach us a lesson!" Siskel and Ebert plus American coffee: the two comic targets of this movie's scorn, taking up mucho screentime but never approaching an actual joke. Not just would-be jokes, but any kind of narrative elements just not going anywhere is really the heart of this movie's problem. They never had a story they wanted to tell, so you get some good set-up but really unremarkable pay-off.